Over a several year time period, the satellite communications industry has come under threat by many new and emerging technologies. Thanks to some amazing innovations, satellite is fighting back. Now, the industry needs to continue to innovate directly through the development chain to maintain its leading position as a communications service. There was a time when satellite was the only possible way to make connections. While this still remains the case within certain scenarios and environments, satellite communication (SATCOM) is becoming less so as more and more alternatives wend their way to market. For example, broadband roll-outs are continuing in force on a global scale — governments are pouring massive budgets into fiber connectivity. Areas that have remained unconnected suddenly have an alternative to SATCOM. 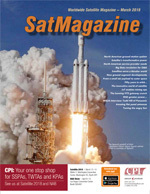 For many, satellite is considered to be the last resort where no other network technology is available — most consumers and businesses are now opting for other connectivity methods, when available. 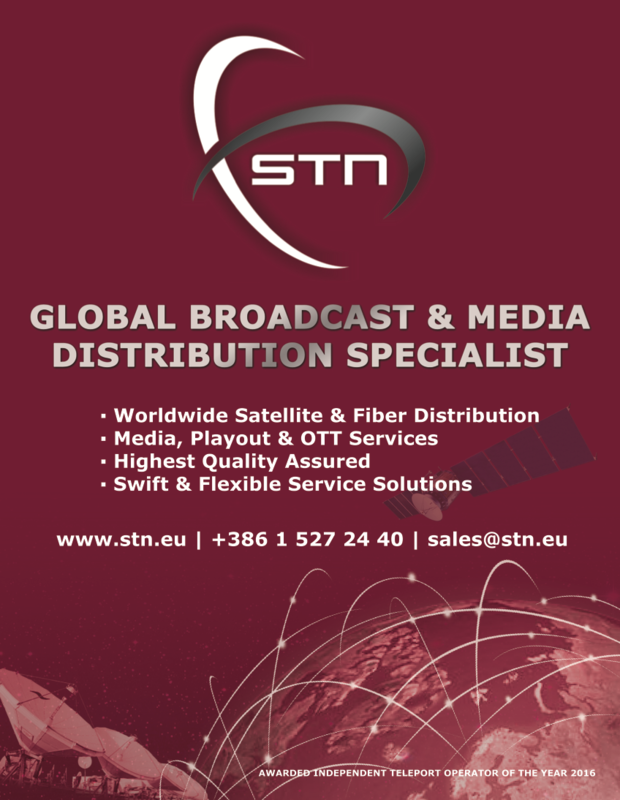 The broadcast industry is an area where satellite is under enormous threat. Broadcasters have typically been one of the biggest users of satellite. However, the broadcast industry has itself seen a great deal of change over the last couple of years. Only a few years ago, consumers would watch linear TV. Now consumers are watching more and more Over-The-Top (OTT) video content and less and less of the linear broadcasts. This is, quite naturally, having an impact on the relevance of satellite broadcast, with many traditional broadcasters now launching their own OTT services to remain competitive. Even satellite newsgathering (SNG) is under threat, with the first all IP newsgathering trucks being deployed. As IP takes off, more broadcasters may look to convert trucks away from satellite and enjoy the cost savings that such moves can deliver. Another big challenge for the satellite industry is the potential for error. Satellite is a complex environment and a highly technical and challenging industry — it is far easier to “get it wrong” than with the more simple processes and workflows of IP. While satellite equipment is sensitive equipment that needs to be used correctly to ensure accuracy, operators rarely have the correct level of training to avoid the errors that can plague SATCOM — not surprising, as most industries are faced with trying to accumulate cost savings, and that leads to less staff on site and less budget for extensive training in all operational areas. The use of satellite equipment, for many is, rightly or wrongly, at the bottom of priority lists. And yet, a slight satellite pointing error or misuse of the equipment can create huge, negative consequences for the service being provided as well as affect other services, as well. The problem is that consumers and business users alike simply will not tolerate errors across their services. With an increasing choice of connection, any slight error could lead them to a different connectivity option. In order to survive in this increasingly competitive landscape, something special is required — that something is innovation. Luckily, the satellite industry has not simply waited for their markets to disappear. There has been a phenomenal amount of innovation throughout the industry, cementing SATCOM’s importance in the world for many years to come. Indeed, the satellite industry is much more exciting than ever before, thanks to the fast pace of innovation. Take, for example, High Throughput Satellites (HTS) which connect more of the world, and at lower cost, then ever before possible. Thanks to HTS, more and more people now have access to much-needed services, whether that is an alternative to other technologies, connecting remote areas, or for mobility. Essentially, HTS makes SATCOM affordable, quick and easy. There can be no discussion regarding satellite innovation without citing the new constellations in LEO and MEO. With 640 LEO satellites already on orbit, and an astounding 9,000 due to launch over the next five years, there will be some serious traffic and services debuting to address new business models. These satellites are designed to handle such needs effectively and therein rests a great deal of potential for the satellite industry. In particular, the demand for being connected everywhere is likely to cause a rise in demand for satellite connectivity and these satellites will be important for delivering those services. The problem with advancing technology is that it generally comes with a whole slew of new problems that were unknown before service implementations. These challenges need to be rapidly anticipated as well as fixed to ensure the trust of customers. In the case of HTS, the technology’s success in delivering more connectivity at an affordable cost is leading to a veritable explosion in service provisioning. This, in turn, is creating a number of challenges for providers. First, HTS means more services at lower prices. This is filling up available satellite capacity and that has implications for all of the other services as companies vie for bandwidth. Add to that the more services using satellite capacity, the added chance some of them will inadvertently cause errors to occur, such as pointing to an incorrect satellite polarization. That can lead to a whole slew of other problems, such as satellite interference, and that will drive a much lower SLA. The other huge challenge relating to HTS is the very nature of many of those connections. The fact that HTS can connect easily and anywhere means there are lots of connections in remote and hard-to-reach areas. Often there is no other means of connectivity in these areas. This means that it is quite difficult, not to mention expensive and time consuming, for engineers to travel to a remote site to fix problems. In many cases, this can involve traveling for a day or more. Comms-On-The-Move (COTM) is the other main user of HTS and continues to be a significant challenge. Faced with moving terminals and often harsh environments, there is little margin for error, but often a big chance that errors will be made on a regular, if not ongoing basis. This is about to get even more challenging as, over the coming few years, the emergence of connected cars will be witnessed. Consumers already expect constant connectivity wherever they are, such as on boats, so they will simply not tolerate any loss of signal in a connected car. That is a considerable challenge for satellites. As for the LEO and MEO constellations, there will be quite literally thousands of new satellites that, while small in size, have the potential to mask the view for GEO objects and cause serious interference to one another if not properly managed. This is concerning to many who are fearful of the impact of so many constellations on the rest of the space environment. While these innovations all offer great potential for the satellite industry, they also come with their fair share of unique challenges. Therefore, to ensure the satellite industry remains relevant, the industry must innovate — and innovate now. Innovation must occur not only at the satellite level, but directly through the market segment chains, putting in place the correct tools and solutions to provide better accuracy and cost efficiency. Flat panel antennas will be absolutely crucial to these new developments, such as the aforementioned connected car. Eventually these antennas will need to be flexible enough to be used as plug and play, just like smartphones. With new innovations and the increased traffic such portends, more important than ever will be to ensure correct installation of antennas. As mentioned above, HTS often includes installations in hard-to-reach areas — getting the installation correct can drastically reduce, or even avoid, expensive and time-consuming trips to the site to correct mistakes. The only effective way to ensure this occurs is with automated tools that ensure proper antenna installation and correct pointing. 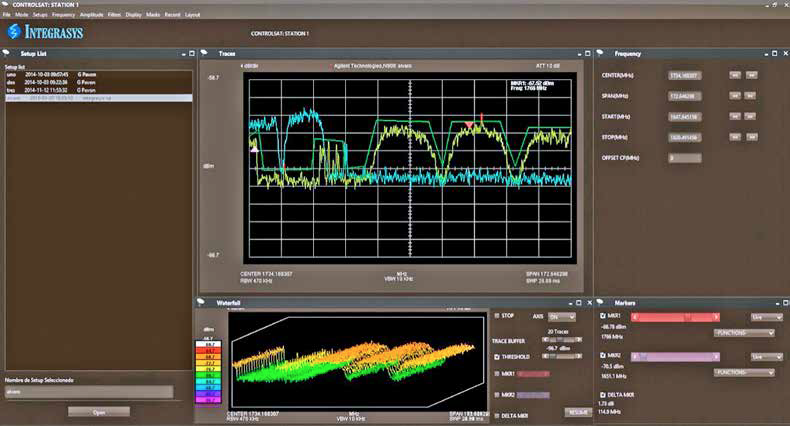 As satellite bandwidth becomes more in demand, users want to be able to commission in multiple beams and hop from beam to beam depending on traffic demand. This need was the impetus behind the company’s latest version of Satmotion which is Satmotion HTS. 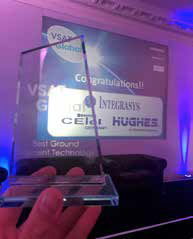 Integrasys has major customers in EMEA using Satmotion for a number of applications. This includes Integrated Telecom Company (ITC) in Saudi Arabia and a government project for Detecon Al Saudi (Detesad). As well as having the same auto-commissioning features of Satmotion Pocket, this new version also supports multiple beams, allowing customers to use beam balancing and hopping and traffic sharing to resolve the problem of too many users within a particular beam. Whatever the innovation or satellite type, continual monitoring will also become all the more critical if the satellite industry wants to remain competitive. Spotting errors or potential degradation with atmospheric attenuations, as soon as or even before they happen, will make all the difference to both accuracy and efficiency. That constant monitoring capability will be even more vital in the LEO and MEO space, especially as more and more services are added. Saudi Telecom Company (STC) is a fine example of a telecom company that provides the highest quality of service (QoS). STC is using the best monitoring tools to ensure Service Liability Assurances (SLAs). Thanks to the Integrasys Controlsat solution, which centralizes the operation in the main NOC, telecom services of a consistently high quality and error free are provided and with a minimum of staff intervention and the use of smart alarm algorithms. Controlsat has enabled STC to monitor all its satellite services in a simple way in multiple satellites and locations in an affordable manner. The more observant readers may have noticed that the company’s slogan is: we are building success from innovation — exactly what the industry needs to accomplish. 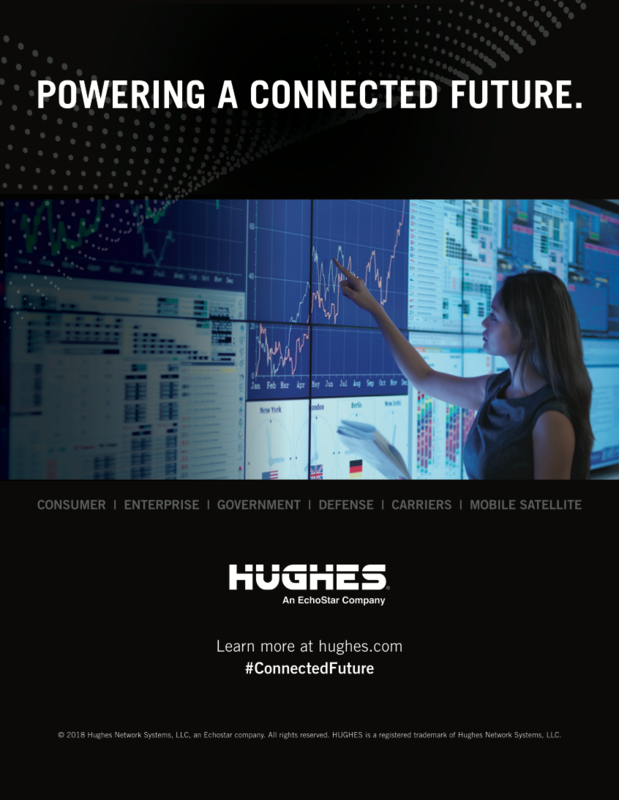 The satellite industry has witnessed dramatic shifts over recent years and there are great opportunities ahead, driven by sets of unique challenges. By delivering innovative solutions to those challenges, the industry can continue to build on past successes.